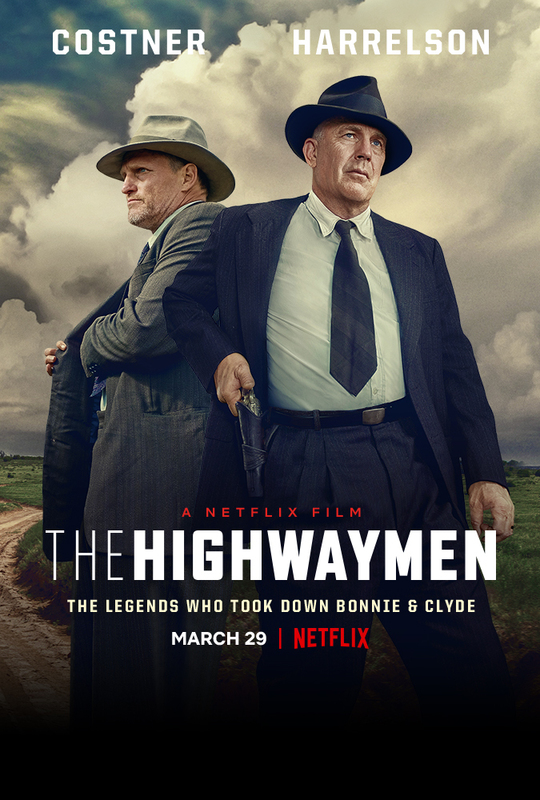 Netflix invites you and a guest to an advance screening of THE HIGHWAYMEN. From director John Lee Hancock (The Blind Side), THE HIGHWAYMEN follows the untold true story of the legendary lawmen who brought down Bonnie and Clyde. When the full force of the FBI and the latest forensic technology aren’t enough to capture the nation’s most notorious criminals, two former Texas Rangers (Kevin Costner and Woody Harrelson) must rely on their gut instincts and old school skills to get the job done. THE HIGHWAYMEN also stars Kathy Bates, John Carroll Lynch, and Kim Dickens.